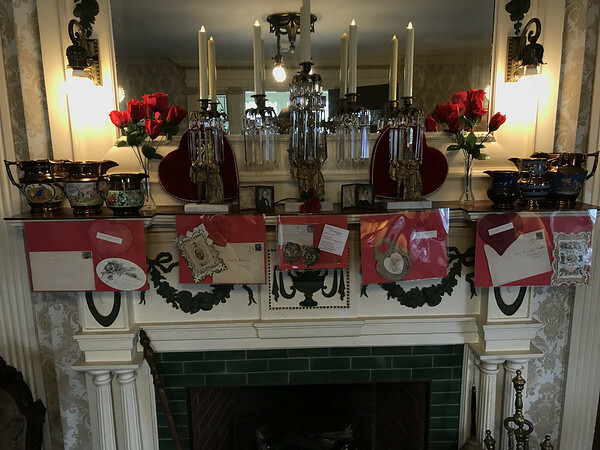 SOUTHINGTON – The Barnes Museum invites visitors to admire the love of a bygone era, bringing out the Barnes family’s beautiful, hand-made Valentine’s Day cards for an exhibit. The exhibit will remain up throughout the month of February on the first floor of the museum at 85 N. Main St. The oldest of these Valentine cards date back to the 1850s and many of them are hand-decorated with three-dimensional images, scrapbook clippings, lace trims, poems and personal messages of love. These items are so well preserved that many of the original embossed, stamped and postmarked envelopes remain as well. 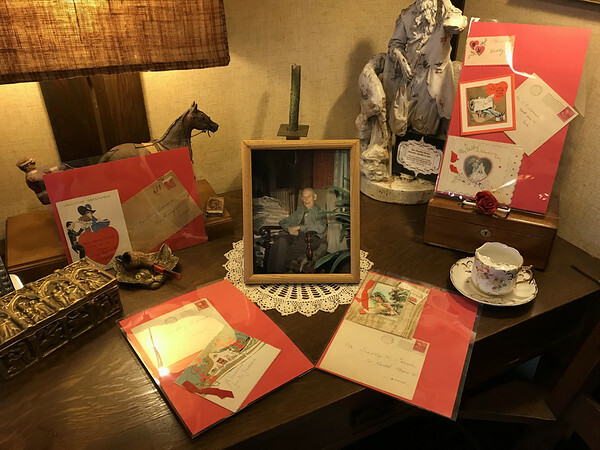 The exhibit includes cards and Valentine’s Day diary entries from Bradley Barnes, the last of the family to live in the home before it became a museum, his mother Alice and his wife Leila Upson Barnes. There is even a letter in the kitchen written to the family cat, “Fluffy”, from its previous owner. Above a fireplace there are letters with colored pencil drawings written by a 14-year-old Bradley Barnes to his parents. Another letter, written by an eleven-year-old Bradley Barnes, shows how pleased he was to get letters from three girls, Mabel, Fanny and Flossy, in his class. There is also a table set up with letters exchanged between Leila Upson Barnes and her “hubby” as she affectionately dubbed him. “There was a lot of genuine respect for one another and love in this family,” said Secondo. The Barnes Museum is open for tours Monday, Tuesday, Wednesday and Friday from 1 to 5 p.m. and Thursdays from 1 to 7 p.m. The museum will also be open Feb. 24 from 1 to 5 p.m.
For additional information on The Barnes Museum, call 860-628-5426 or search for The Barnes Museum on Facebook. Posted in New Britain Herald, , General News, Southington Herald on Friday, 9 February 2018 21:17. Updated: Friday, 9 February 2018 21:20.